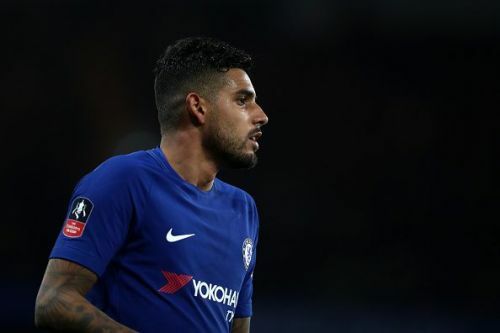 An injury to Marcos Alonso finally resulted in January arrival Emerson getting a chance to make his debut. It didn't take long for him to get involved. His first bit of action was when he blocked an upward cross coming right towards his side. The former Roma man was getting up and down the left wing and commanded his position well. He showed flair in attack with his dribbling and crossing skills. He rounded off his first game in a Chelsea shirt perfectly when he the assisted Olivier Giroud for his first goal which was the fourth on the night for the West-London club.